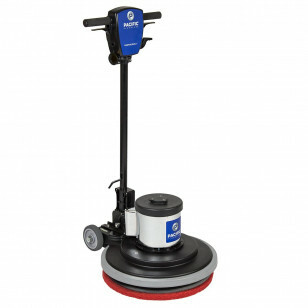 This heavy duty Pacific Floorcare 20" floor buffer can be used for just about any job. The 1.5 horsepower motor, and the triple planetary gear box will stand up to an extended heavy duty workload. 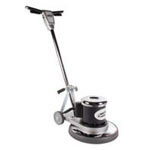 They will power it through scrubbing the thickest carpets, and stripping the toughest surfaces. The durable cast aluminum housing, that will not rust over time when used with acidic solutions. 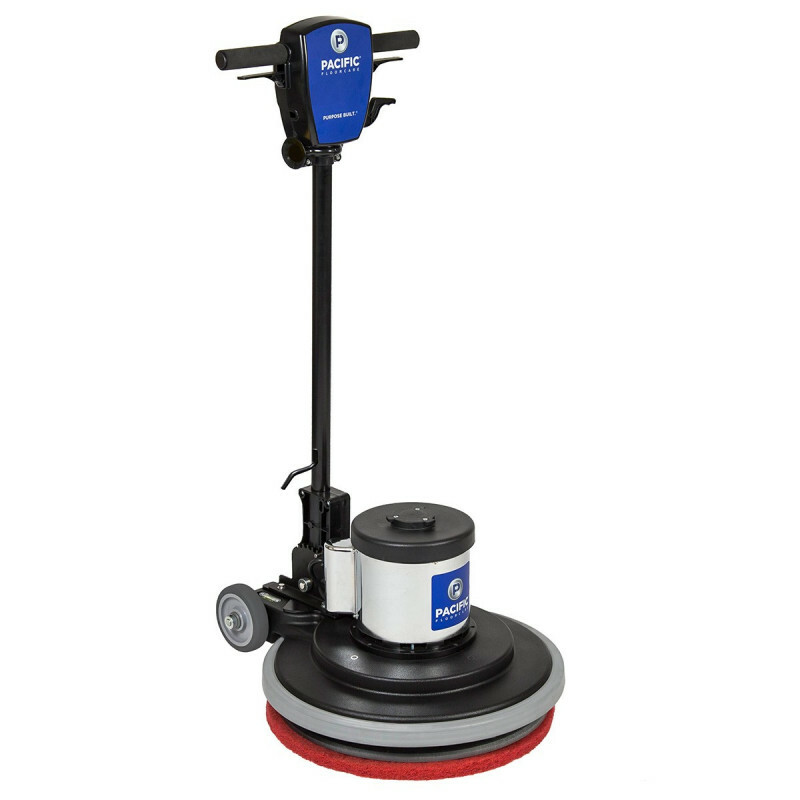 We do have a complete line of 20 inch floor scrubbing machines, that range from poly body machines to explosion proof buffers. The FM-20HD has a carry along fitting on top of the motor housing to carry along your brush or pad holder, when transporting the machine! User-friendly kick lever allows you to adjust the handle settings without bending over. Triple planetary gear unit with all metal gears ensures long life of the transmission. Carry along holder for brush allows for easy transportation of your floor buffer. 20 Amp, 2 HP double pole switch, encases in durable cast aluminum switch housing and metal switch levers. 1.5 HP motor with low voltage start up down to 90 volts.